As part of the TBTI ‘Fish-as-Food’ research cluster TBTI is is conducting a short online poll. 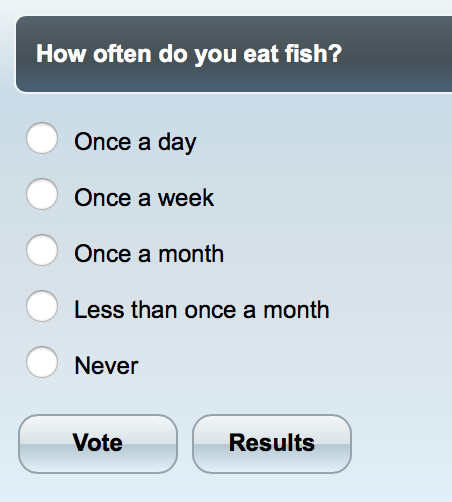 We are asking a simple but important question: 'How often do you eat fish?'. Help us answer this question: click on the image below and select the appropriate answer. To see the results of the poll, click here. The ‘Fish-as-Food’ research cluster is focused on providing evidence that: fish ‒ and in particular small fish ‒ are a critical source of nutrition for humans, and that when more fish are prioritized for local human consumption, both global food security and the sustainability of fisheries will be enhanced.